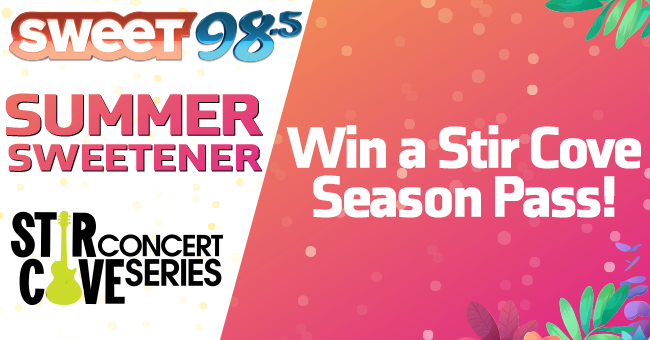 Sweeten up your summer with tickets to concerts at Stir Cove for their 16th season! Listen for the cue to call weekdays between 6am-7pm. If you’re the lucky caller, you will have 10 seconds to correctly say “STIR SWEET 16” 10 times. If you’re successful, you’ll win your choice of tickets to a Stir Cove show (from the list below) and you’ll be qualified to win a Stir Cove 2019 Season Pass! Click here for more information on Stir Cove shows.